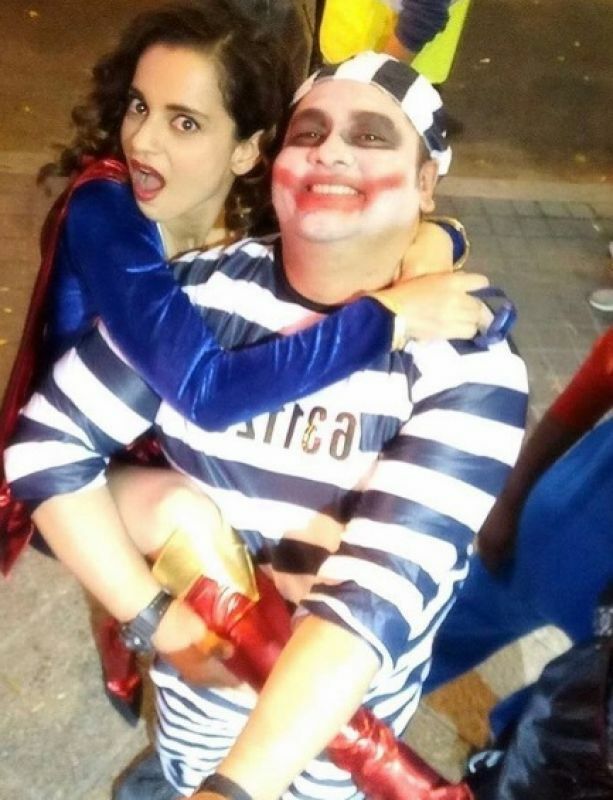 Kangana Ranaut is seen here in a somewhat wacky costume with her Gujarati trainer Suraj Vyas. Mumbai: We all know that Kangana Ranaut is engrossed in Hansal Mehta’s intense courtroom drama ‘Simran’. 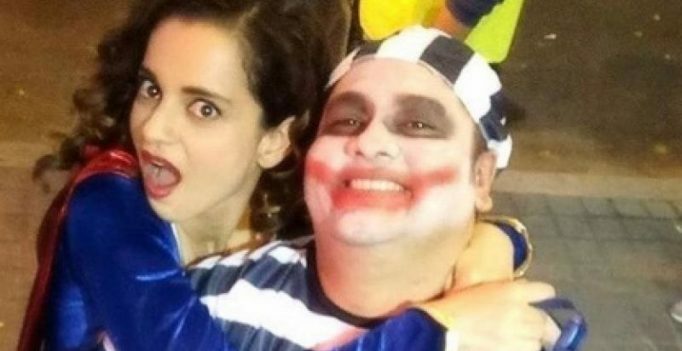 After her last release ‘Rangoon’ tanked at the Box Office, Kangana resumed shooting for the film. For the uninitiated, Hansal Mehta’s family drama ‘Simran’ starring 3-time National Award winner Kangana Ranaut is all set for a September 15 release next year.